Business is about creating relationships. 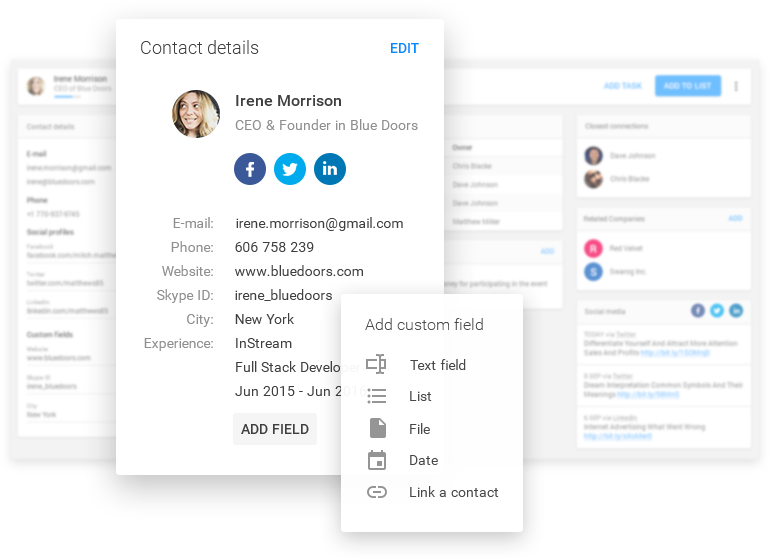 Gather all your contacts in one place. Connect your account with LinkedIn and other social platforms to automatically gather useful information. Get the right insight by collecting the customer data you need. Manage your contacts regarding all accessible information. Communicate with the right people at the right time. Improve the quality of communication and save time through automation. 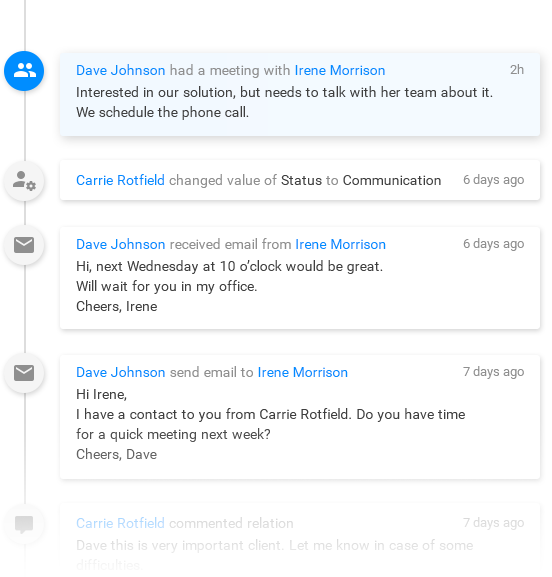 Run real-time conversations, and share information with your team. Engage in communication with your clients to build stronger relationships. Have access to all your relations with customers in one place. Get immediate access to everything you need. See what, when and with whom you've been talking to lately. Benefit from the use of different lists to keep your conversations in order. Get an immediate overview of your sales funnel. Manage leads and turn them into satisfied clients. Improve your sales results by providing your team with modern sales tools. Make your sales more predictable to unlock your growth faster. Be one step ahead of your competitors by staying closer to your clients. Identify sales opportunities faster, engage with them and gain loyal customers. Get to know the clients better by gathering their social media activity, and communication flow in one place. Businesses were always based on the relations. The difference between then and now is building them online and via social media. InStream is one of few platforms which help you control everything. InStream is a breeze of a fresh air of the customer relationship management. Properly configurated can work miracles. We use Instream to manage our Investors. We can manage our contacts – in team working remotely – and run fundraising process at the same time. Instream was like a breeze of fresh air. 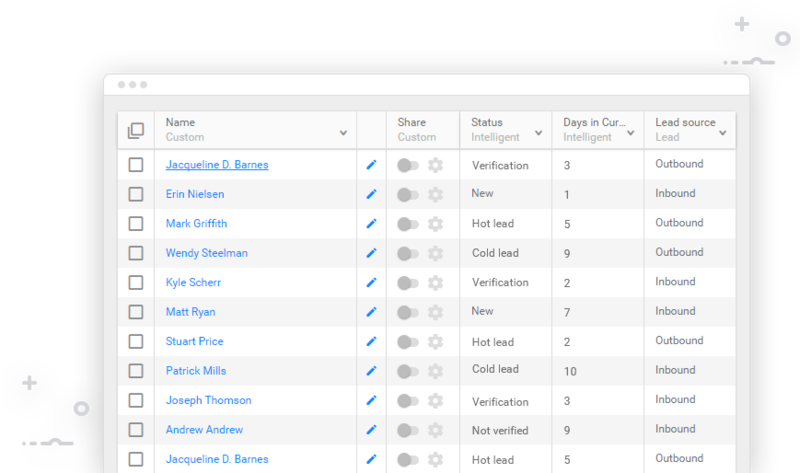 In InStream nothing I appreciate more than the individual approach in the software customization process. Ready to improve relations with your customers?